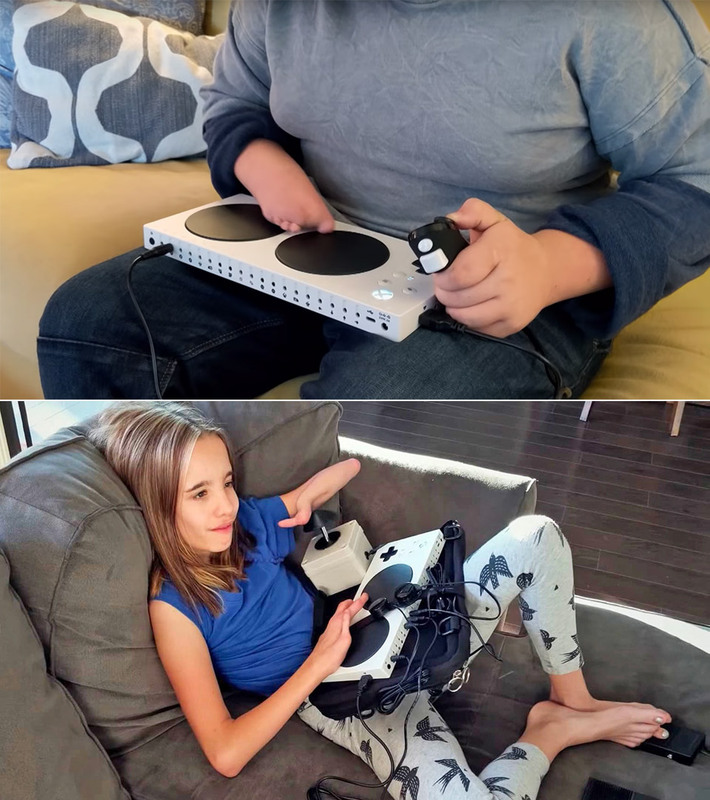 Microsoft has just revealed its Super Bowl 2019 commercial, and it showcases the inspirational stories of children who play Xbox games with help from their friends, family and the innovative Xbox Adaptive Controller. The face of this special controller has two large, domed buttons that can be mapped to any function using the Xbox Accessories app. It also sports a large d-pad, menu button, view button, and the Xbox home button found on the standard Xbox One controller. “The story illustrates Microsoft’s commitment to building accessible technology that levels the playing field and creates opportunity for all of us,” said the company. Read more to watch the Super Bowl spot. The controller boasts USB ports on either side that are used to connect devices that map to analog stick functions, while the back includes nineteen 3.5mm jacks for multiple assistive input devices to be connected; each one corresponds to a different button, trigger, bumper or d-pad function on the standard Xbox One controller. It currently supports Windows 10 and Xbox One devices and is compatible with all games at a system level.